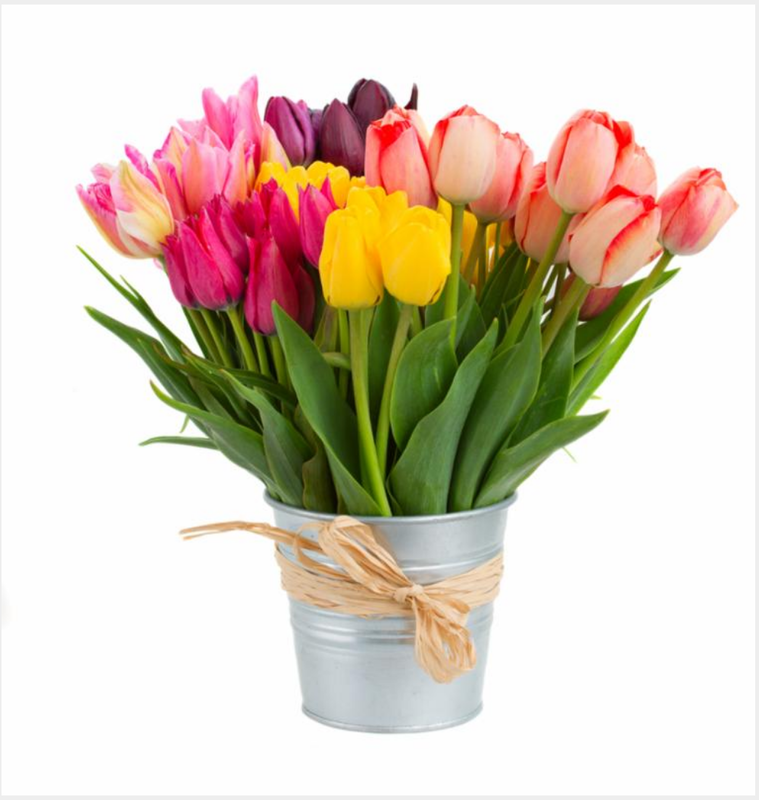 You know it’s Springtime in New York City because Spring Fling has arrived! 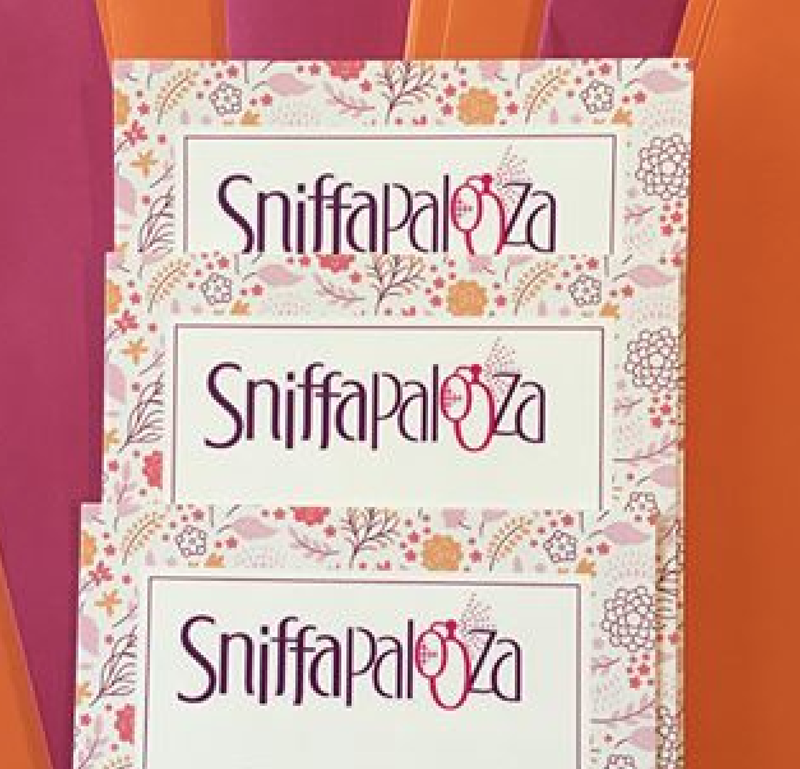 From April 28th – 30th, the largest fragrance event organizers on the planet, Sniffapalooza, prepare a nearly non-stop weekend of fragrant mayhem for the scent obsessed. 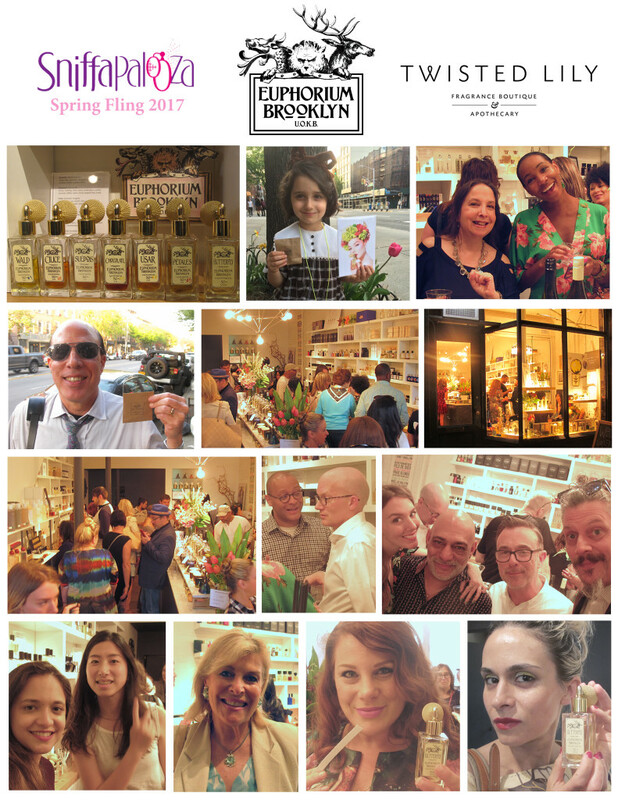 We were honored to be able to launch our newest fragrance, BUTTERFLY at Spring Fling 2017 and kicked off the weekend with an evening fete at Twisted Lily perfumery on Friday night. Impeccable hosts as always, Eric, Stamatis, and the Twisted Lily team prepared a decadent array of sweet and savory treats, cocktails, and wines. 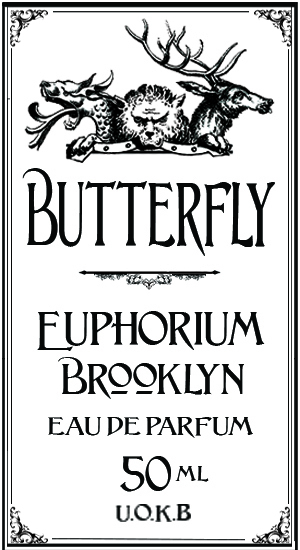 BUTTERFLY got wonderful feedback from the crowd of familiar faces and new friends alike. 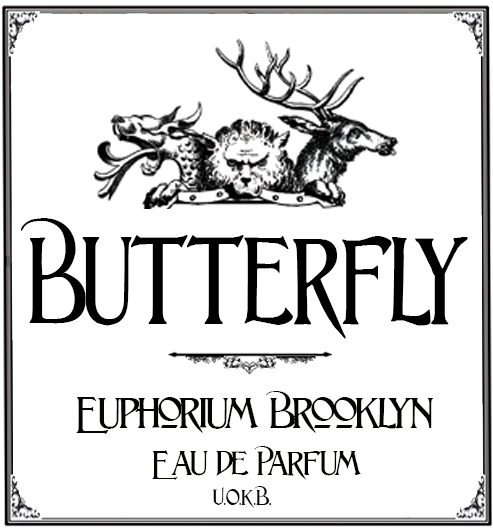 BUTTERFLY was also launched by Twisted Lily online and made available globally for everyone that couldn’t make it out to Brooklyn on Friday as well! 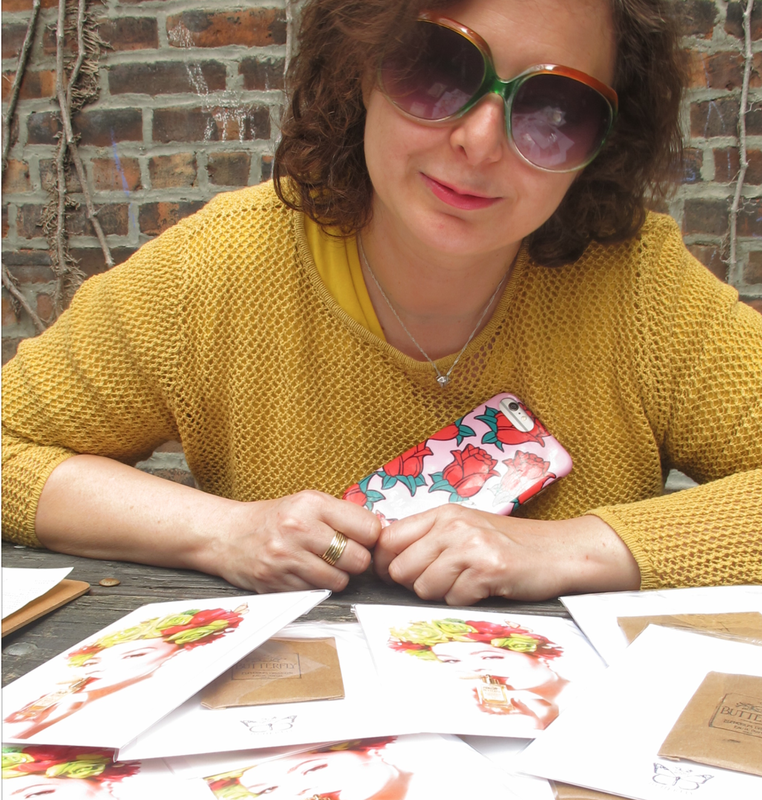 We prepared gift bags with Euphorium Brooklyn samples and Talfoto note cards for our first round of BUTTERFLY customers. Regrouping with the Spring Fling on Sunday for the EAU de Sniffapalooza Showcase (Emerging Artisans Uncorked! 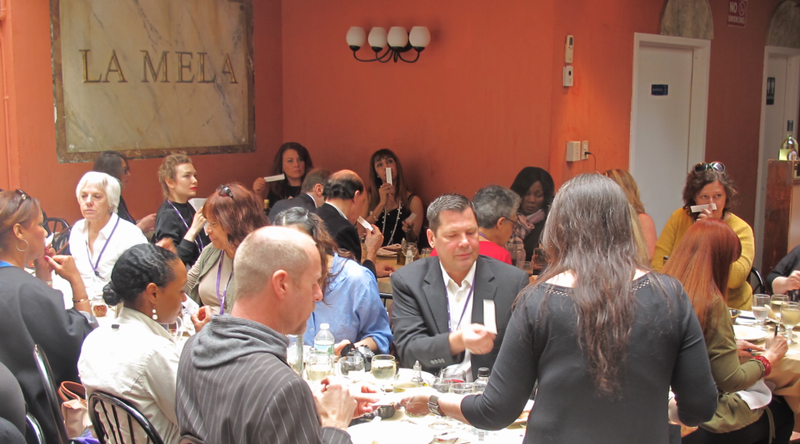 ), a five course lunch at La Mela, Stephen Dirkes made a more formal BUTTERFLY presentation. 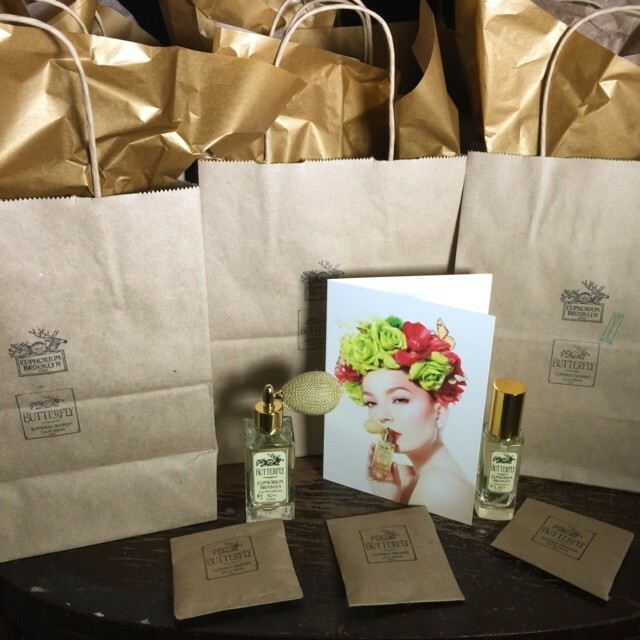 Our MC was David Ecker – Dear Rose and also featured presentations by: Anat Fritz – Anat Fritz Fragrances, Irina Adam – Phoenix Botanicals, Chris Gordon – The Perfumer’s Studio, Jennifer Hardaway – Phoebe Peacock Parfums, & Mair Emenogu – Mair Fragrance. 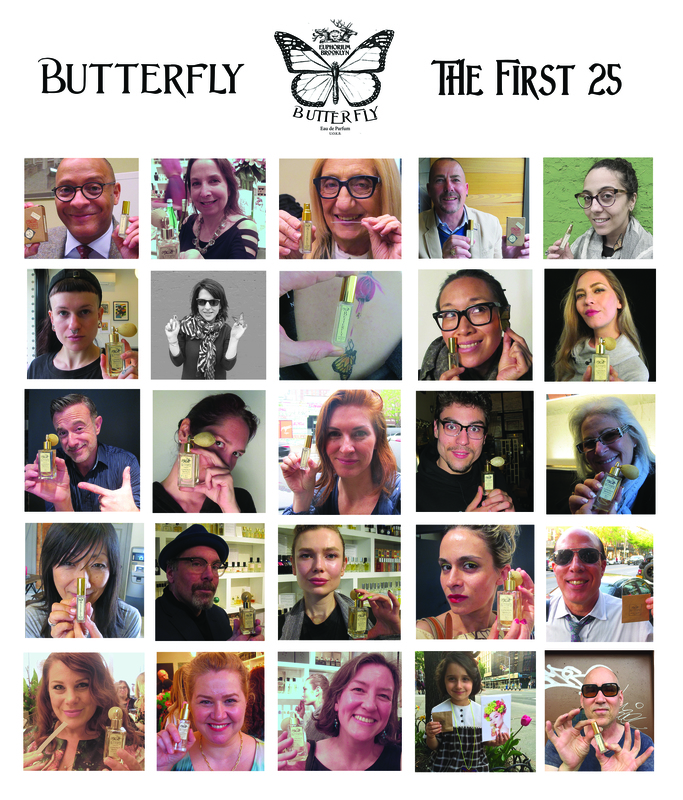 Tal Shpantzer got great photos documenting the day and with her “smellfies” of everyone’s first encounters with BUTTERFLY. 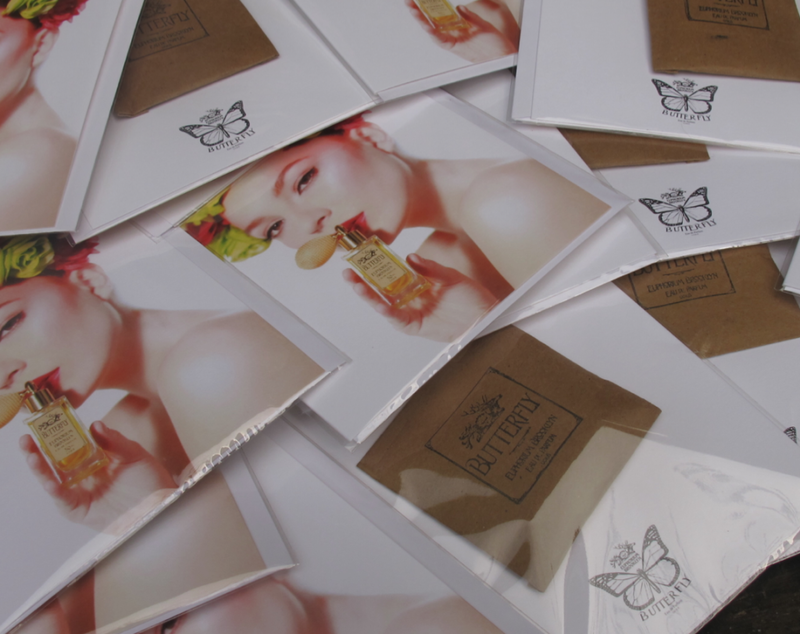 BUTTERFLY note cards and sample sets went out as thank yous for the all the great feedback. 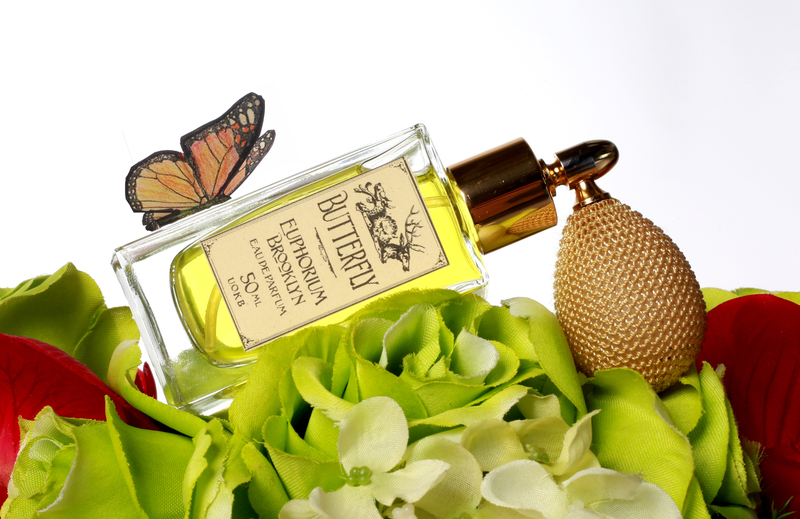 Special Thank you to Tal Shpantzer and her beautiful photography for our BUTTERFLY launch. 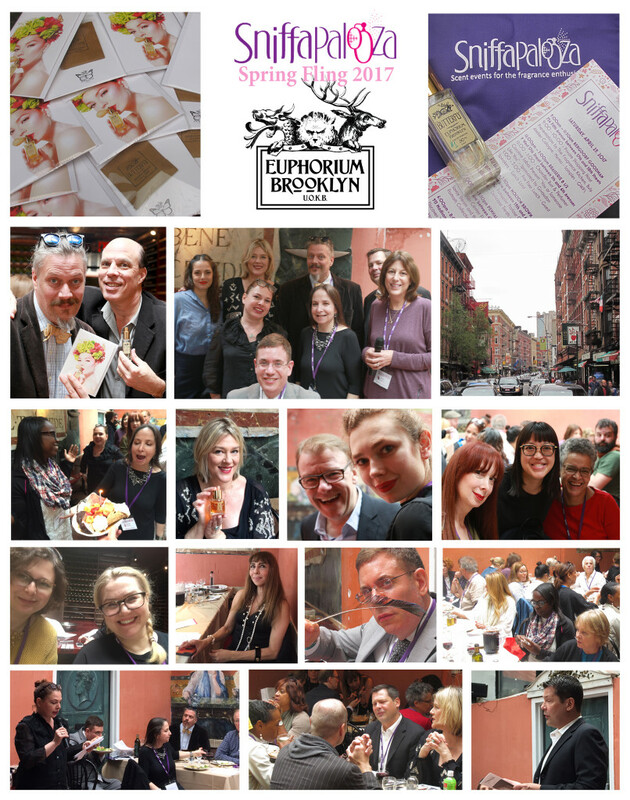 Participating in just a slice of this amazing weekend for the fragrance-obsessed… So many perfumes were sniffed, so many old friends were greeted, and so many new friends were made. 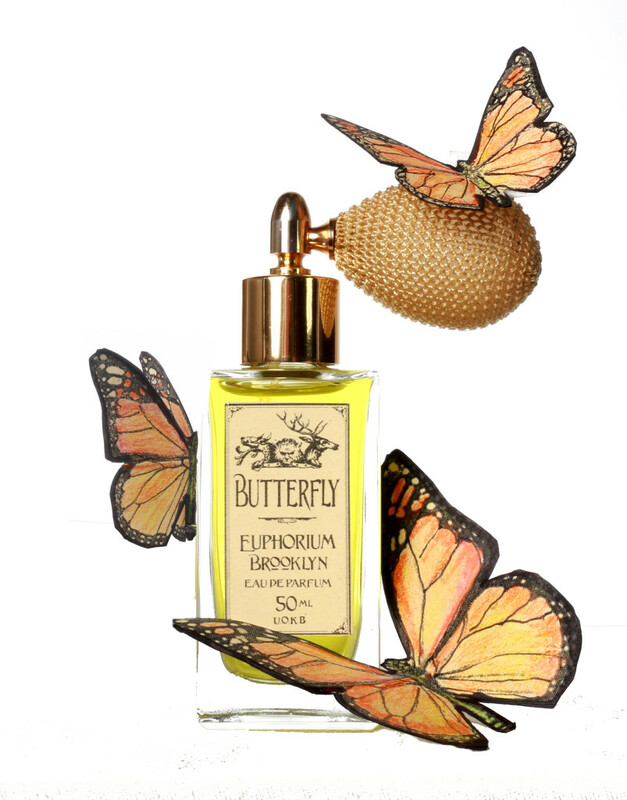 Meet some of our Spring Fling friends and check out their First Encounters of BUTTERFLY. Thank you Karen Dubin and Karen Adams, the masterminds behind Sniffapalooza, for including Euphorium Brooklyn in an another outstanding event! 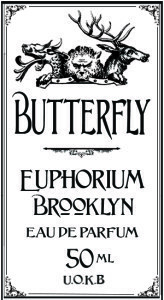 Our BUTTERFLY fluttered by so many lovely noses, we’re still taking in the experience. Author and Perfume Designer Chandler Burr; Givaudan Perfumer Caroline Sabas; Caroline Fabrigas & Abby Wallach of Scentinvent Technologies with LINGER Fragrance Primer; Firmenich Perfumer Richard Herpin with Precious Liquid; Francoise Alessi of Annick Goutal; Mark Crames of Demeter Fragrance Library; David Ecker of Dear Rose; Stephen Dirkes of Euphorium Brooklyn; Lyn Leigh & Mary Ellen Lapsansky of the Perfumed Plume Awards; Kim Van Dang of KVDNYC; Jon Bresler of Lafco New York; Hiro Nakayama of Project Felicia; Jennifer Hardaway of KleanSpa and Phoebe Peacock Parfums; Chris Gordon of The Perfumer’s Studio; Mair Ememogu of Mair Fragrance; Celene Aguilar of Gallivant; Teri Johnson of Harlem Candle Co; Anat Fritz of Anat Fritz Fragrances; Sue Phillips of Scenterprises; Ilana Jivago of JIVAGO Fragrances; Hope Freeman and Jay McSherry of Nateeva; Joseph Quartana of Parfums Quartana; Gerard Camme & Ross Barry of Atelier Cologne; Tom Crutchfield of Roja Parfums; Irina Adam of Phoenix Botanicals; Reps from Buly, The Fragrance Kitchen, Diana Vreeland Parfums, Houbigant, Tom Ford, Guerlain, Robert Piguet, Creed, Jo Malone, Clive Christian, Bottega Veneta, Donna Karan, Molton Brown, A Dozen Roses, Maison Francis Kurkdjian, House of Sillage, Givenchy, Jean Patou, Chanel & Chanel Les Exclusifs, Diptyque, Caron, Aerin, Estee Lauder, Prada, Van Cleef & Arpels, Le Labo, Kiehls, Chloe, Fresh, Apothia, Amouage, Sisley, Hermes, Jul et Mad, Balenciaga, By Kilian, L’Artisan Parfumeur, Fornasetti, Slumberhouse, Kerosene, Keiko Mecheri, Judith Leiber, Undergreen, Au Pays de La Fleur D’Oranger, Tola, Mancera, Laboratorio Olfattivo, JAR, Annick Goutal, Volnay, NEST, Serge Lutens, Olfactive Studio, MEMO Paris, Ex Nihilo, Regime des Fleurs, Miu Miu, Armani Prive, Blocki, Laura Mercier, Room 1015, Charenton Macerations, Monsillage, Isabey, and scads of others!